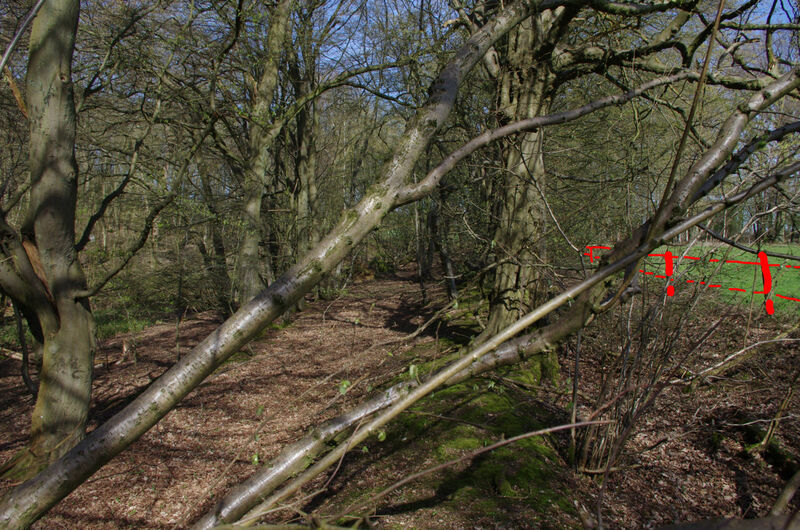 Track looking North towards the Church from the Trenches. 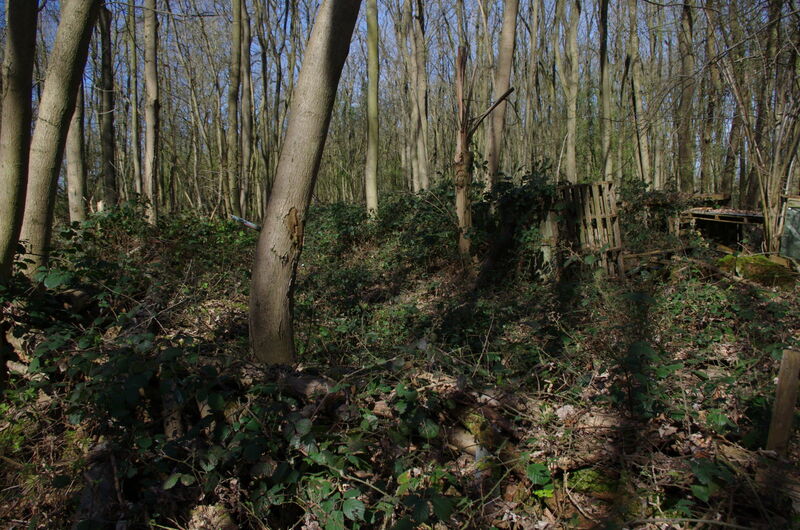 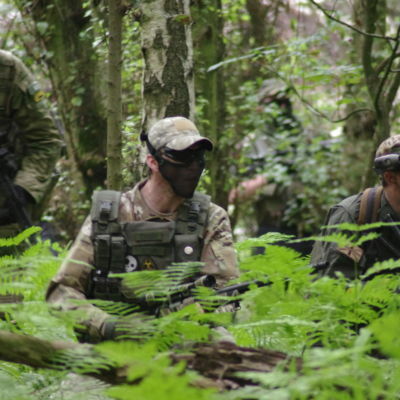 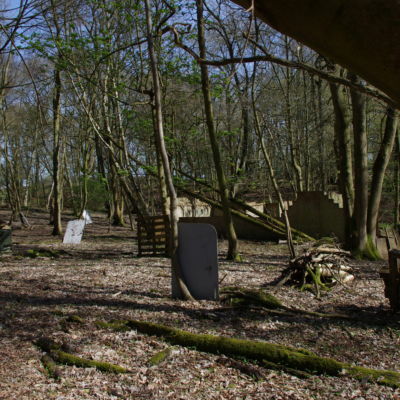 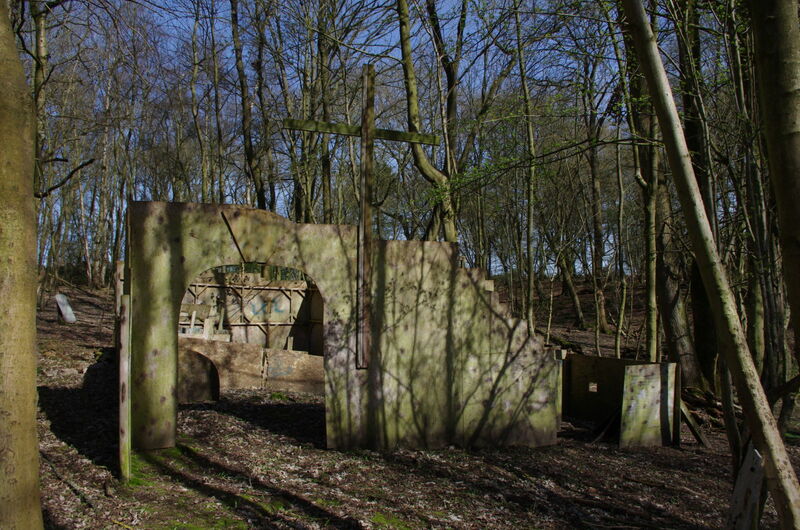 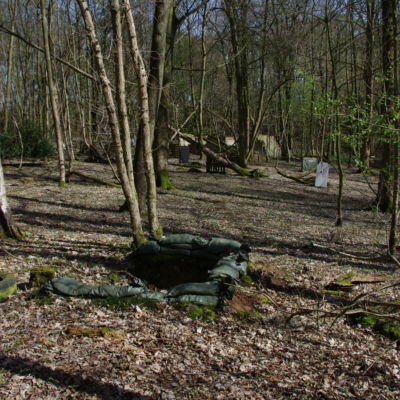 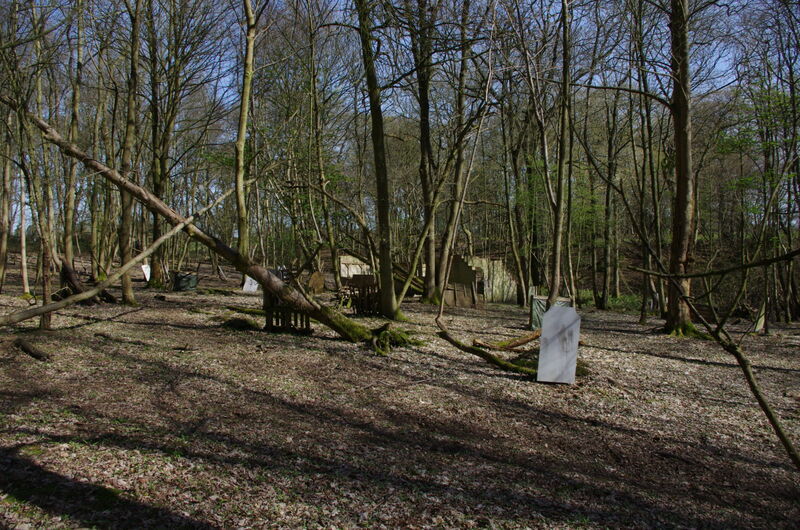 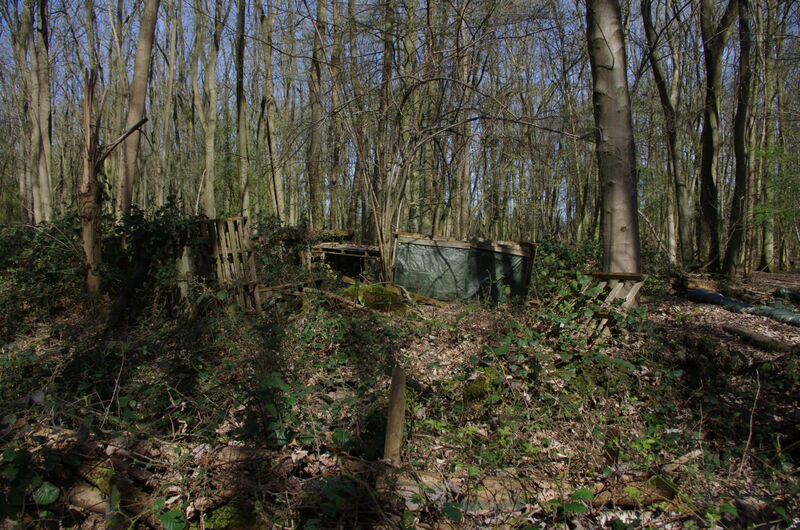 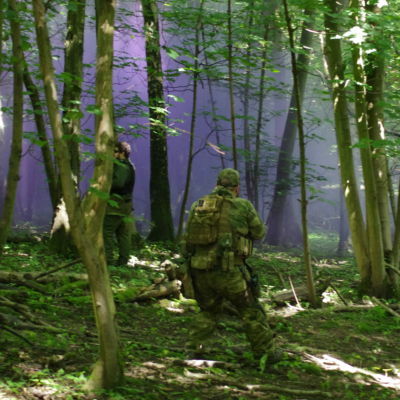 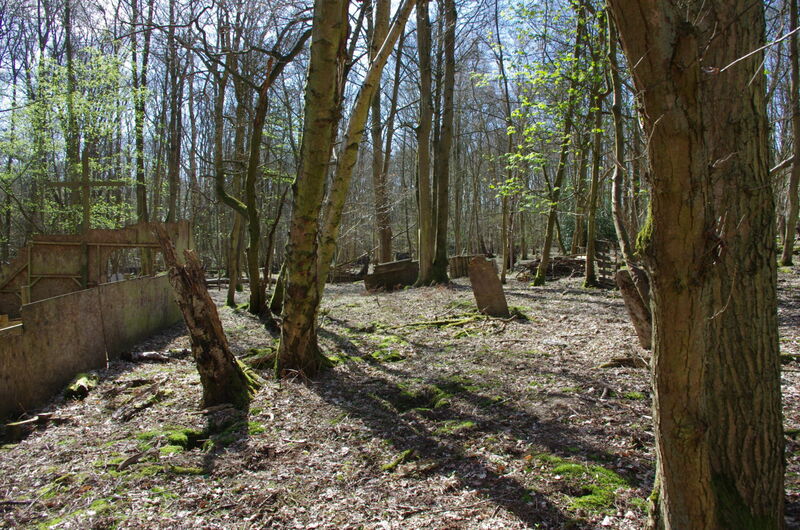 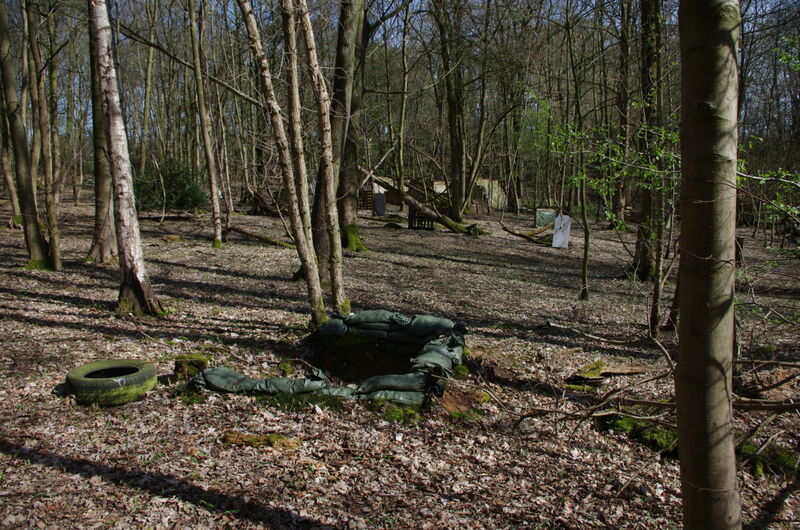 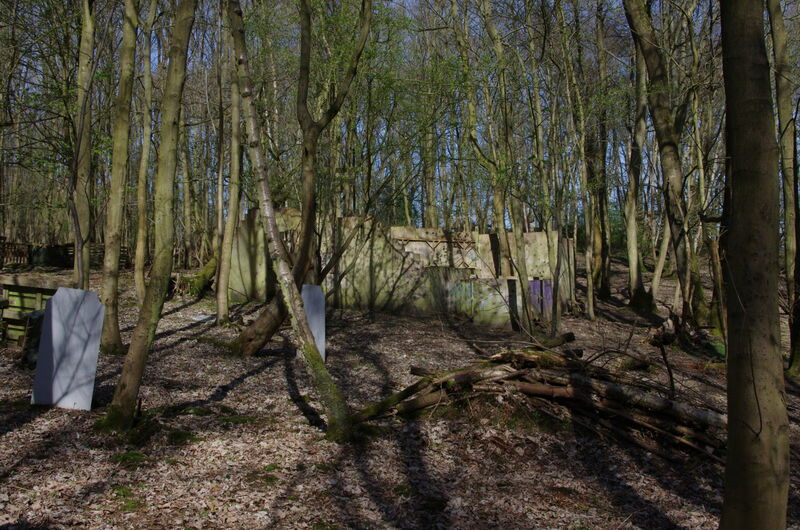 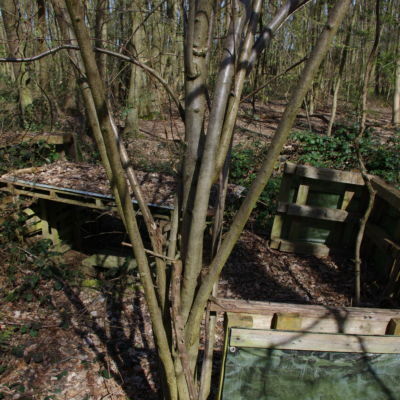 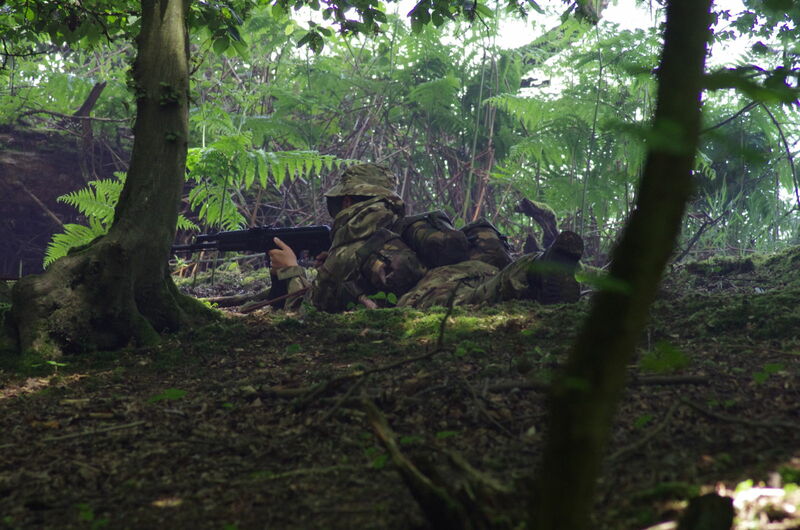 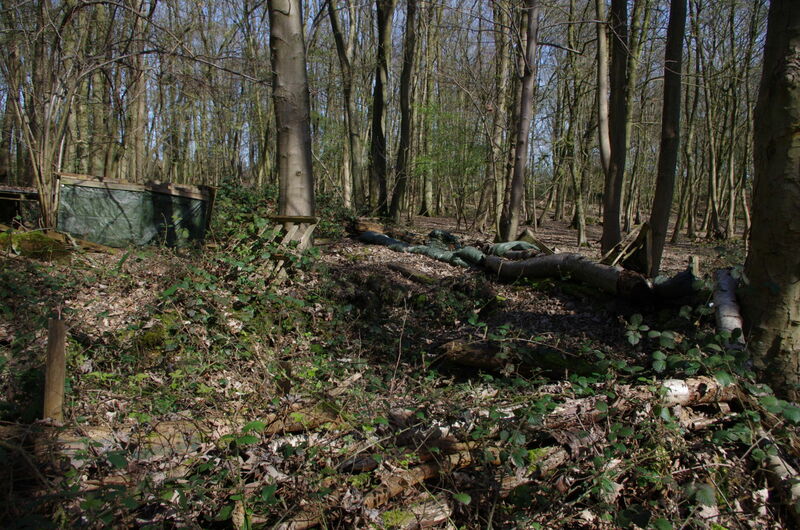 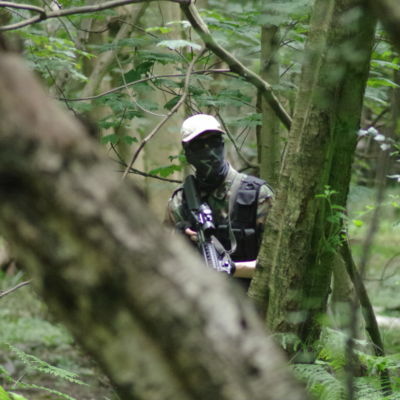 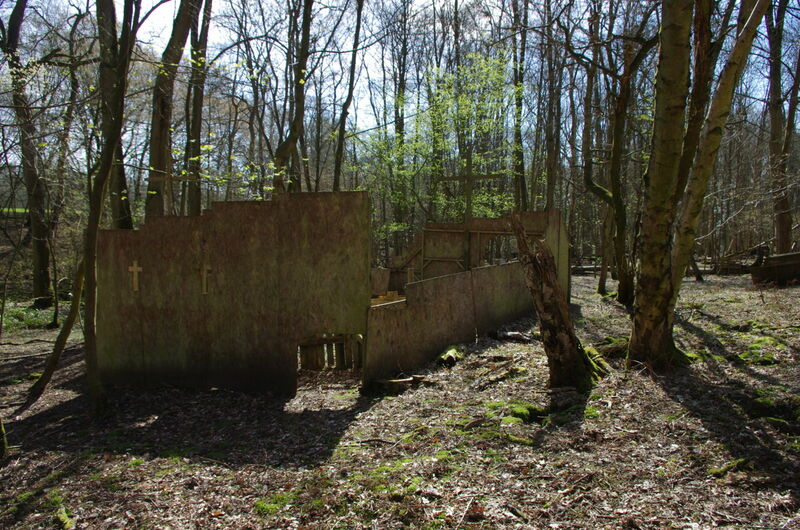 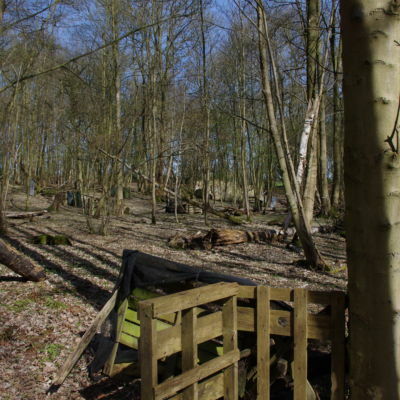 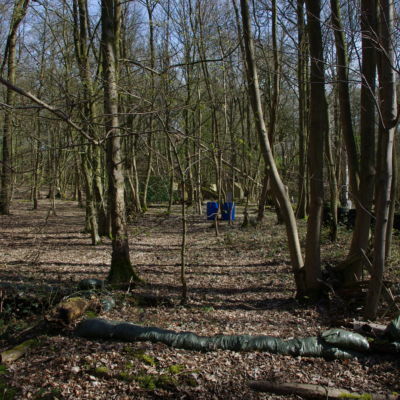 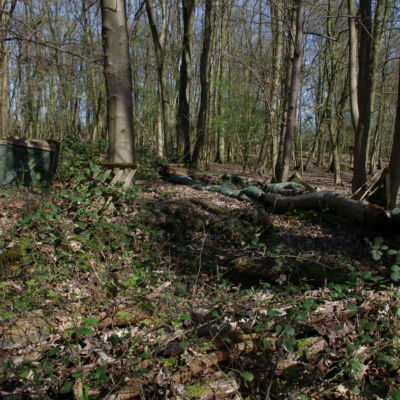 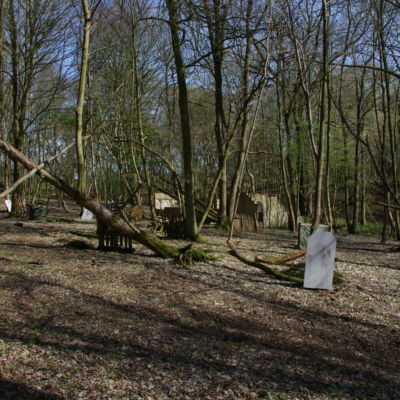 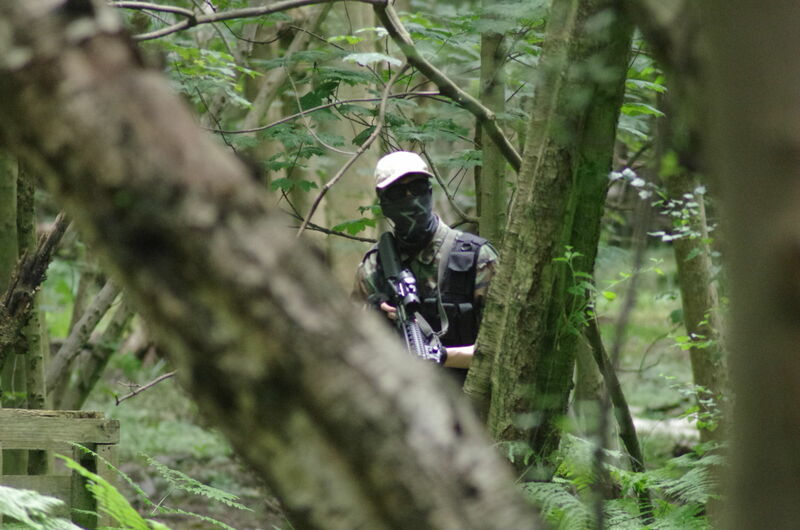 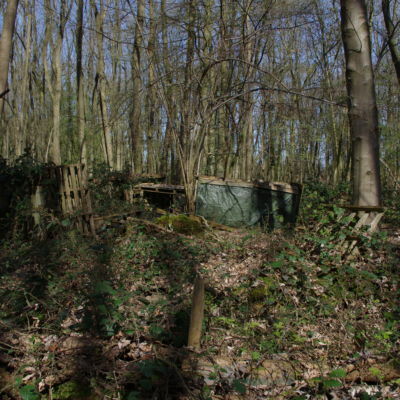 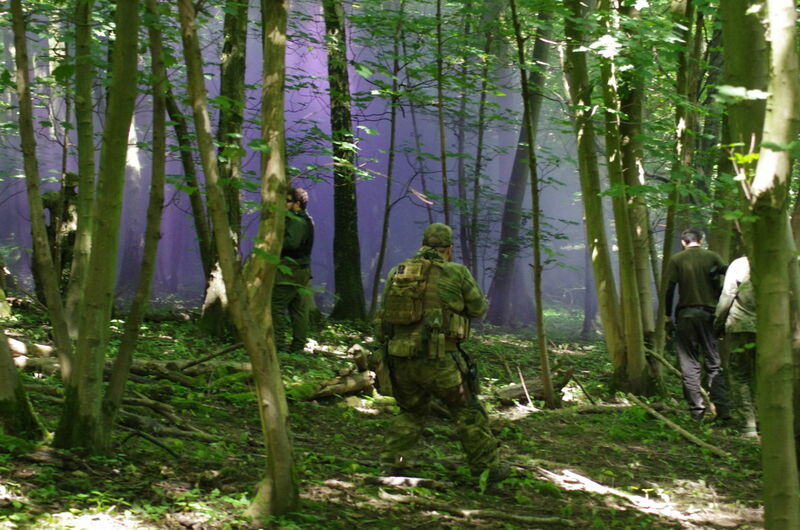 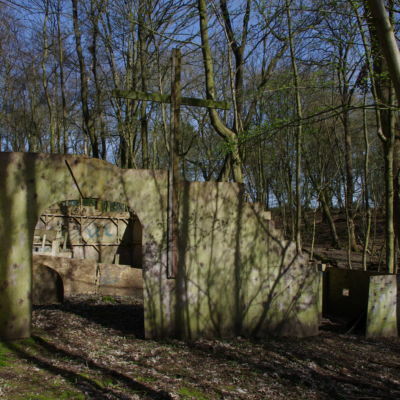 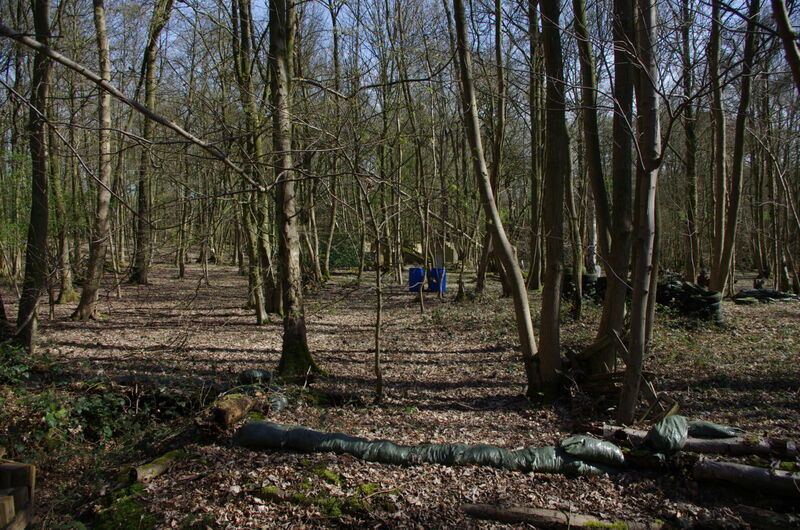 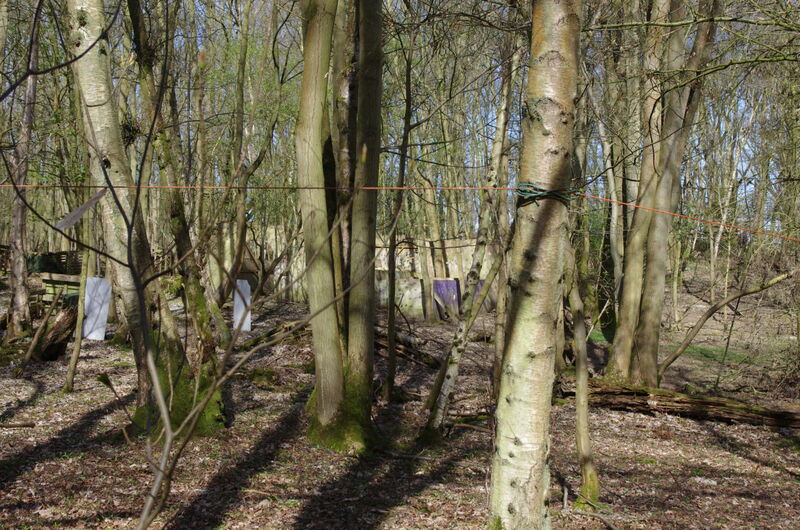 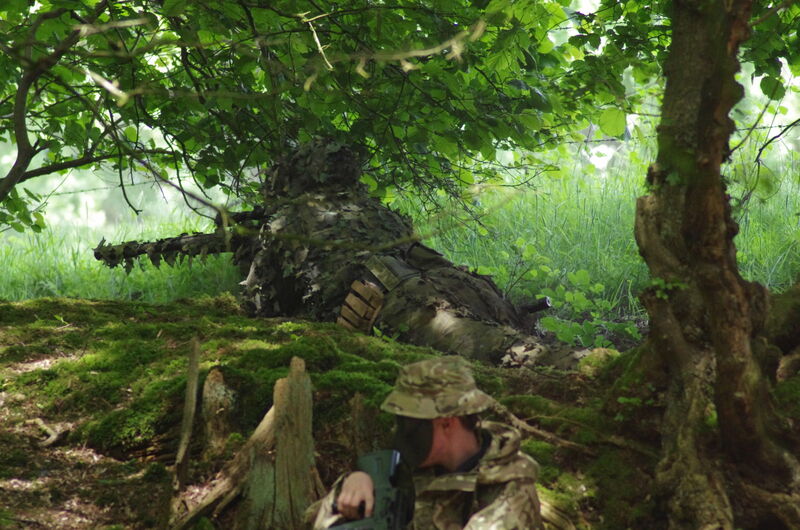 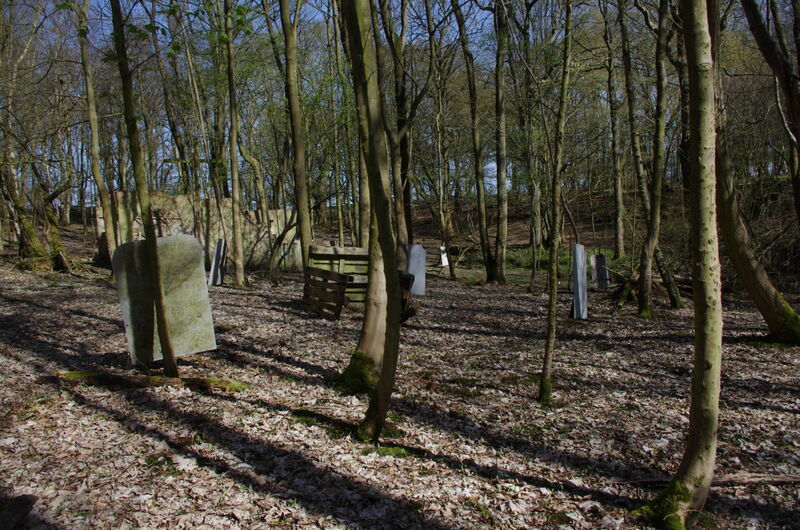 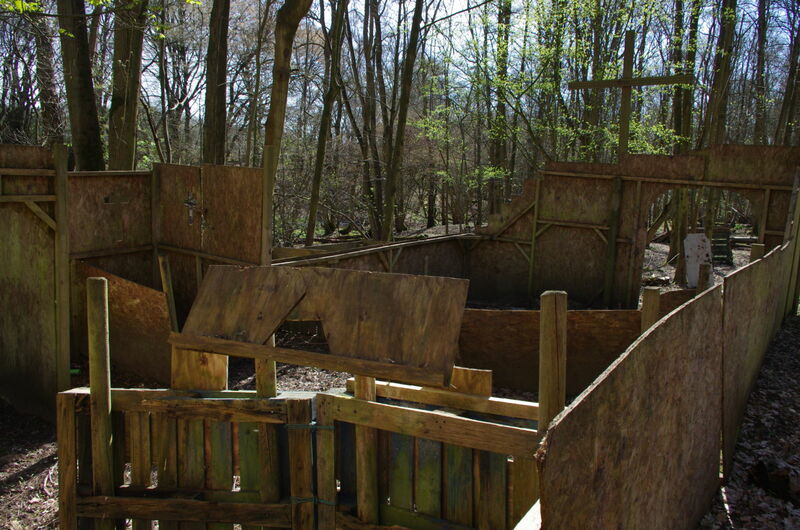 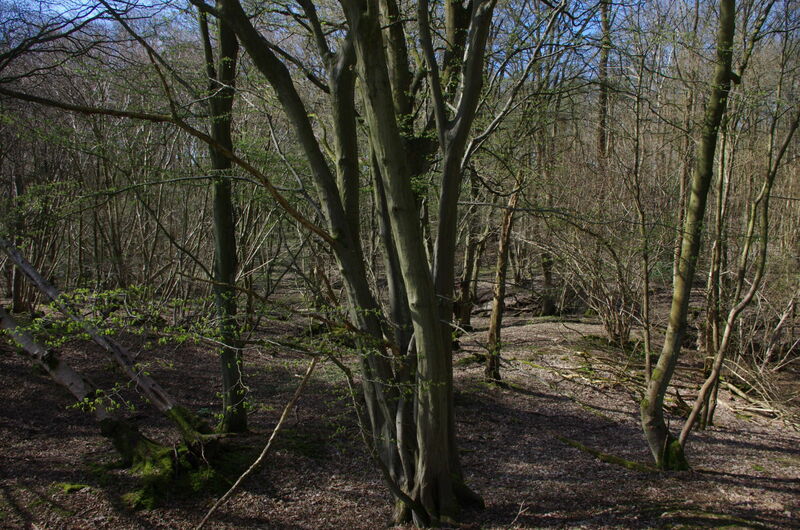 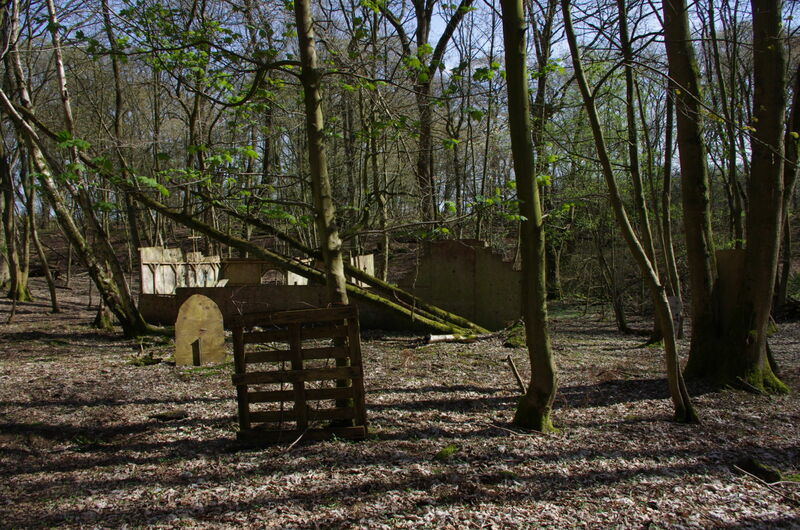 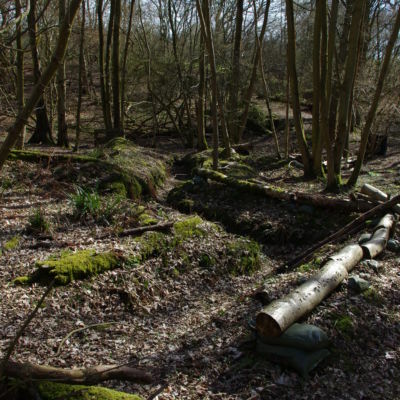 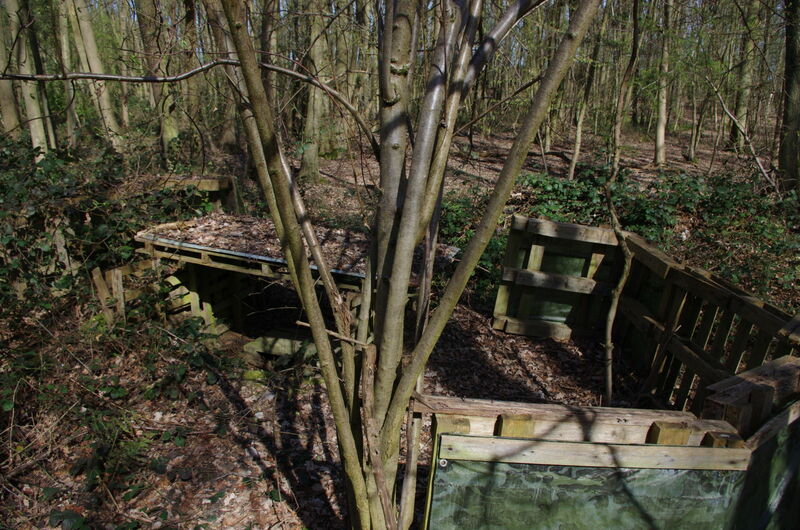 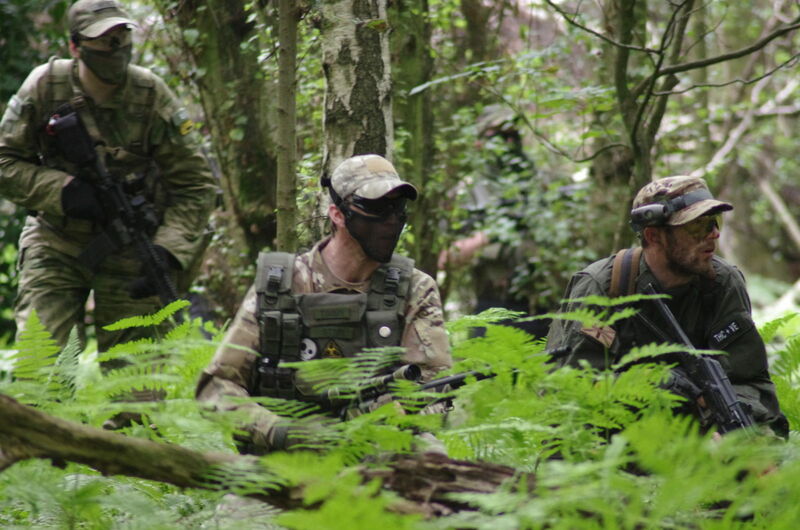 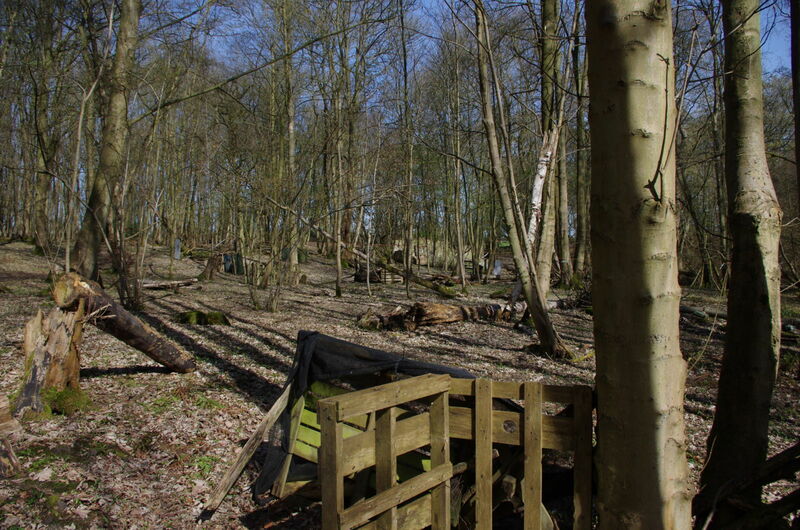 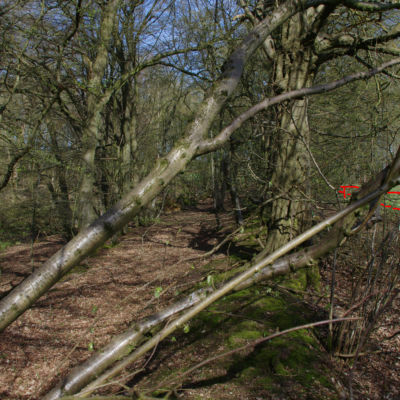 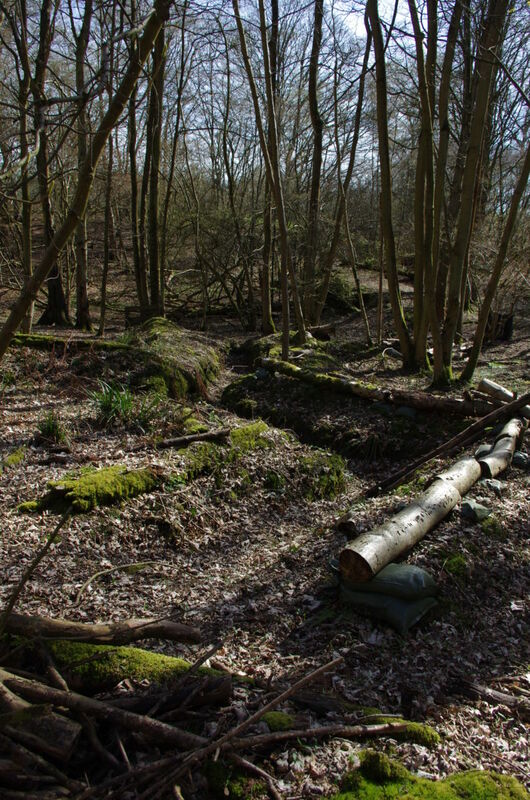 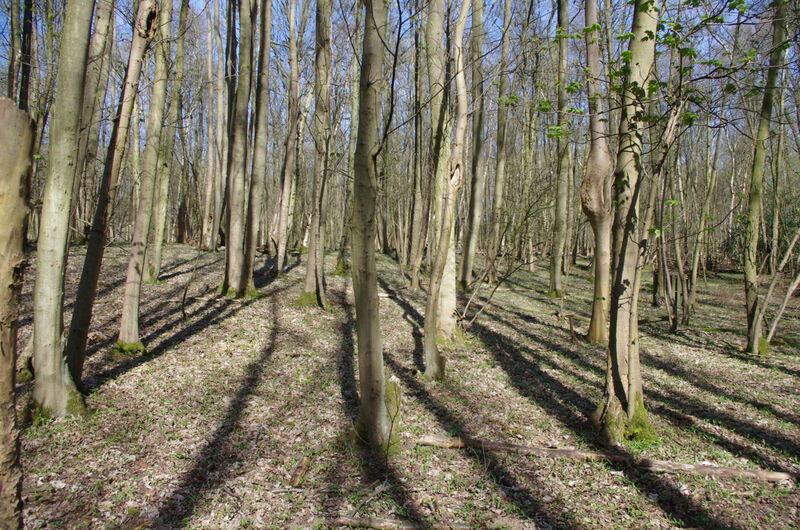 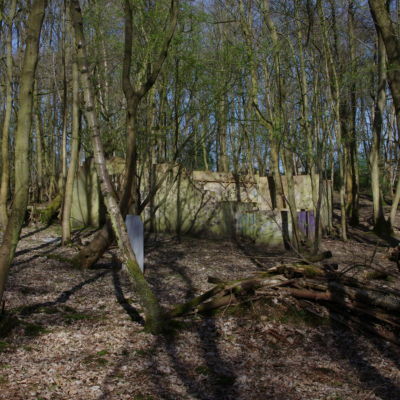 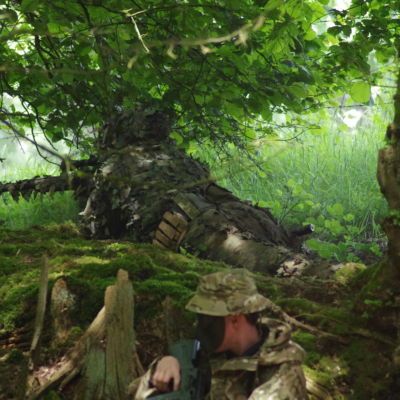 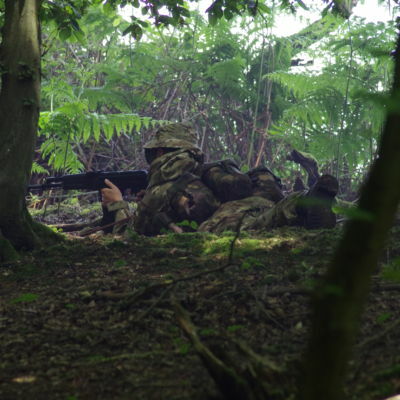 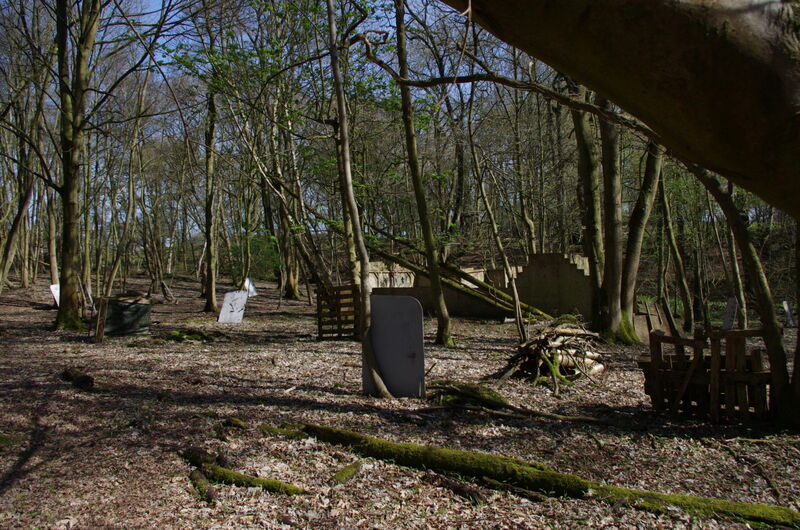 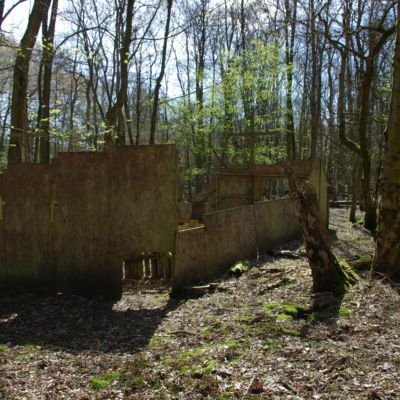 General overview of the open woodland looking back towards the Trenches. 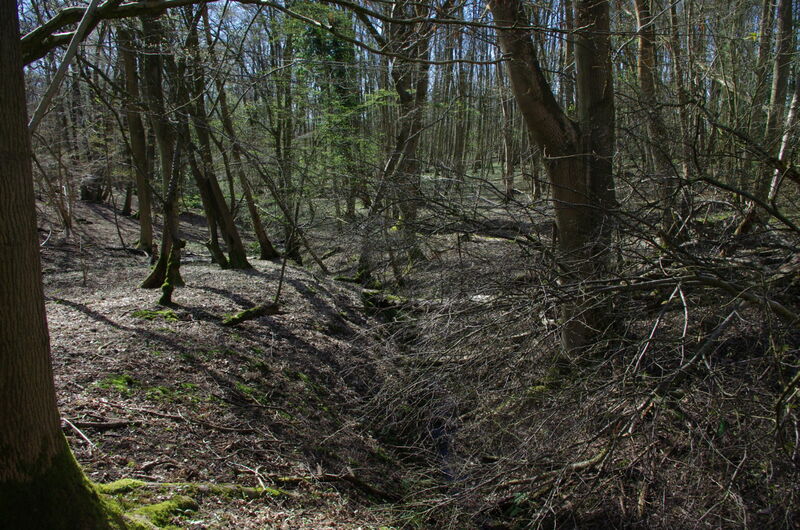 General overview of the valley side and field boundary looking back towards the Trenches. 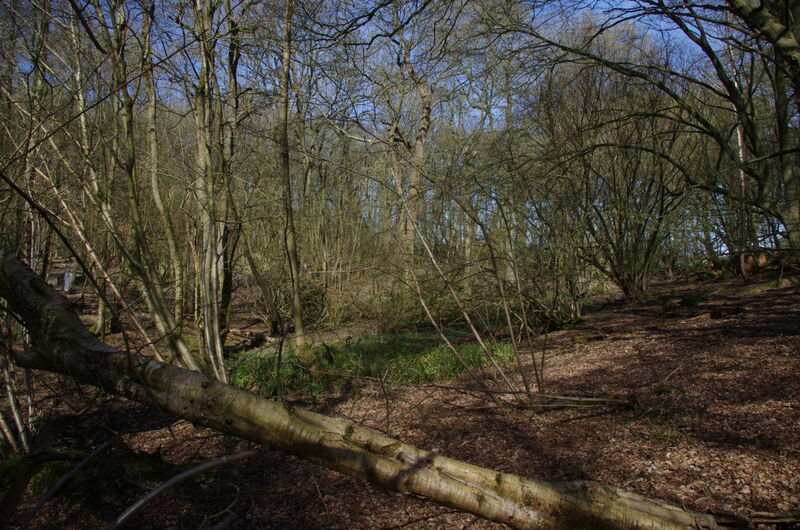 General overview of the valley floor and field boundary, to the right looking North towards the Church. 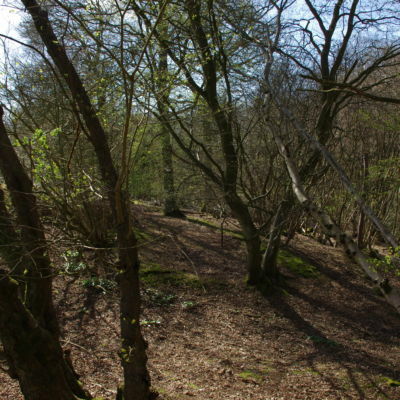 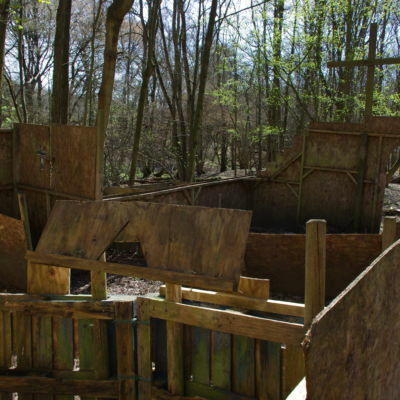 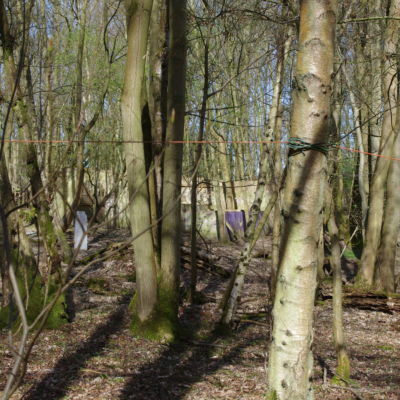 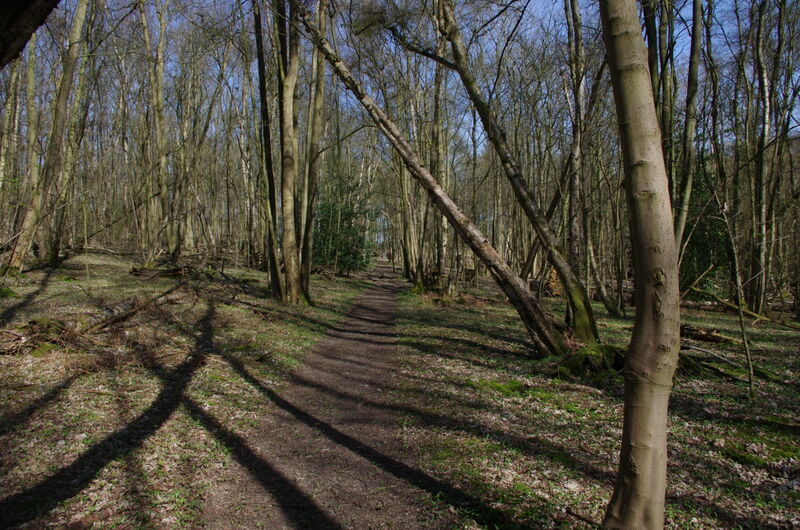 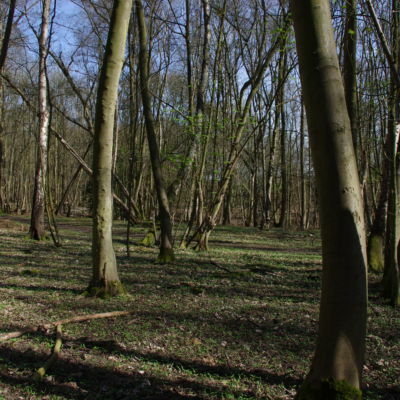 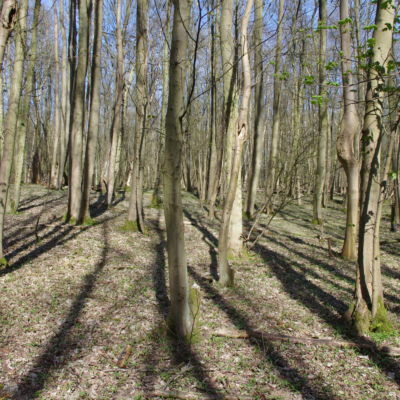 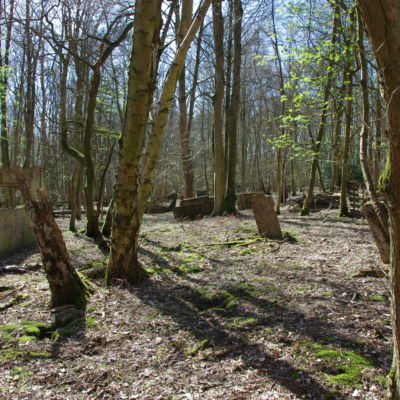 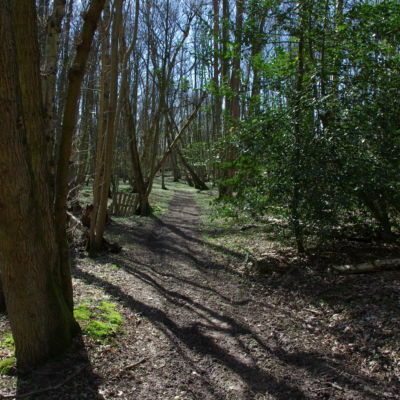 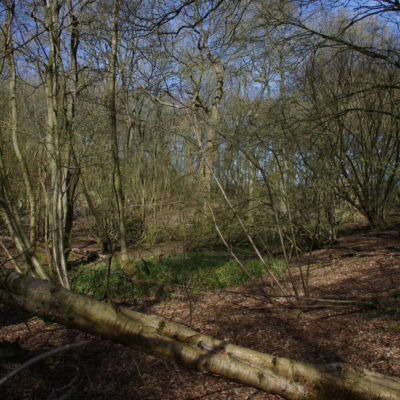 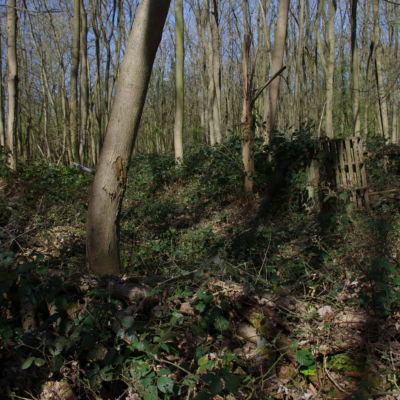 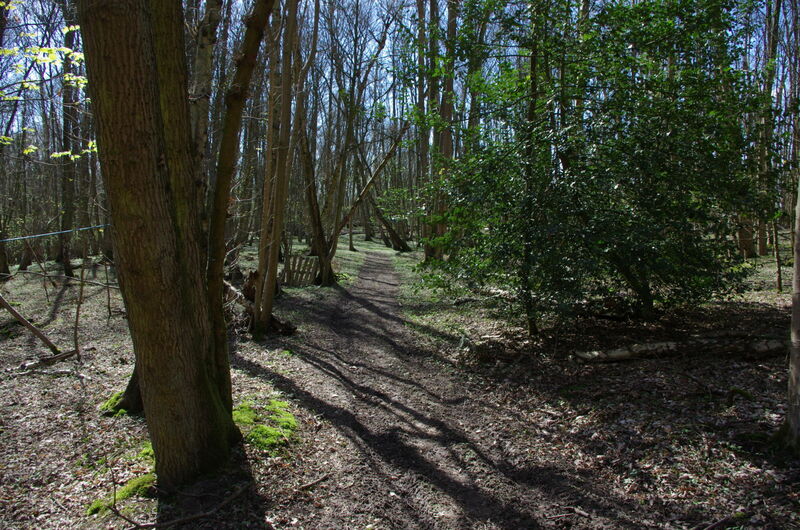 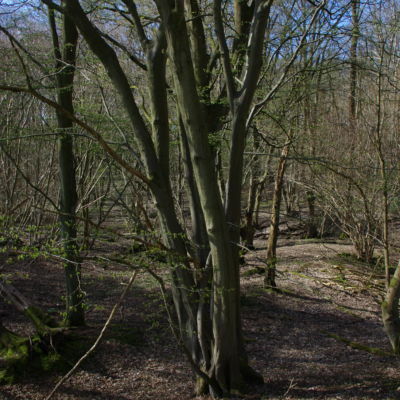 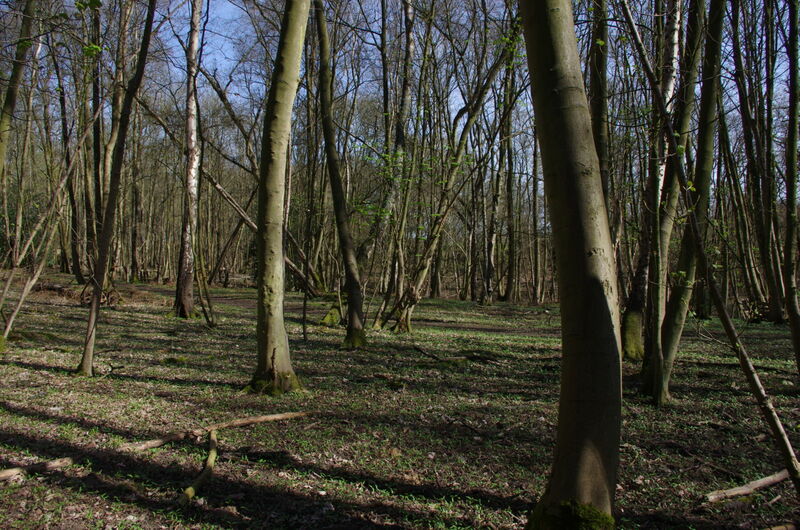 General view of the woodland. 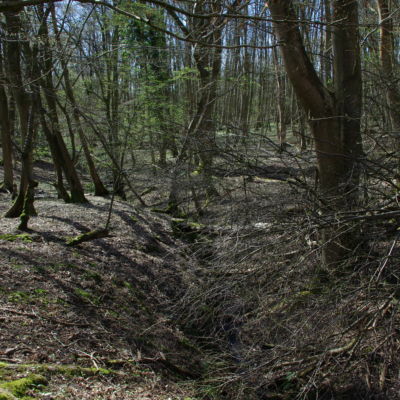 The Stream looking South from near the intermediate trenches. 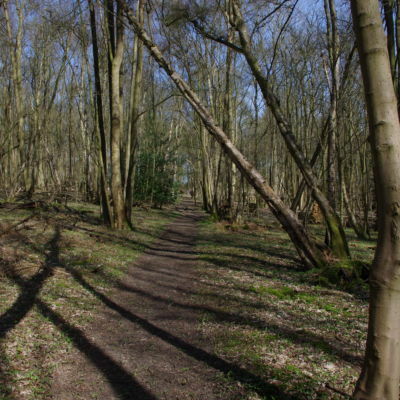 Track looking South to the Trenches. 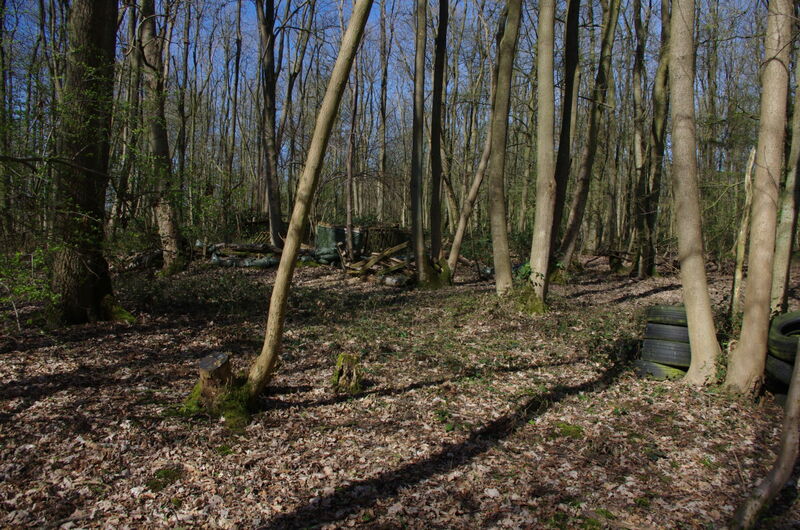 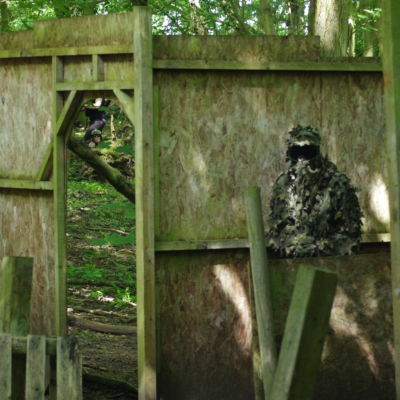 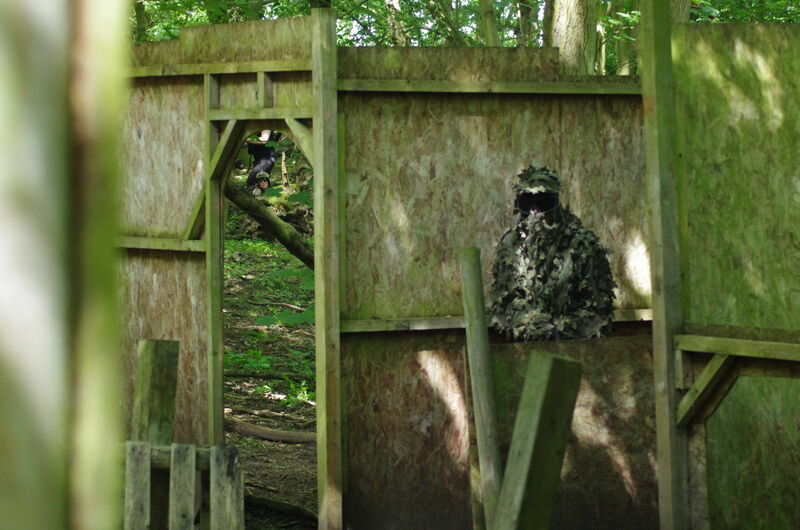 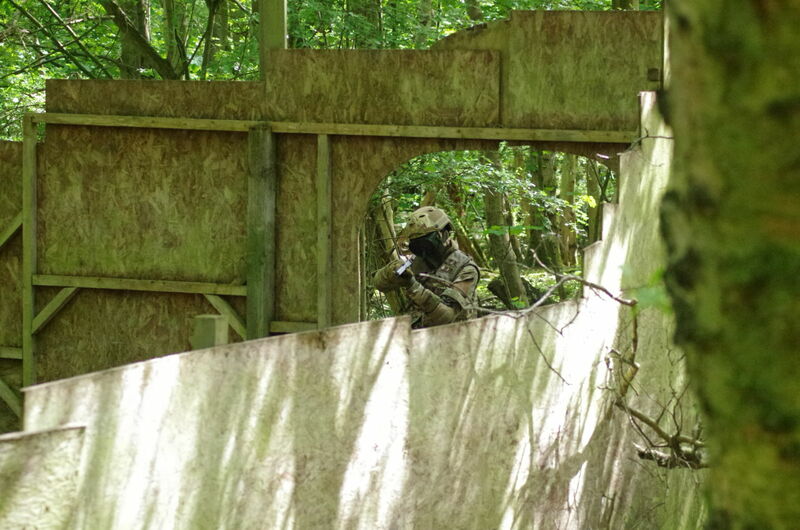 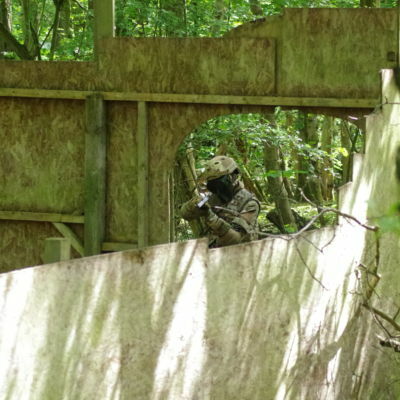 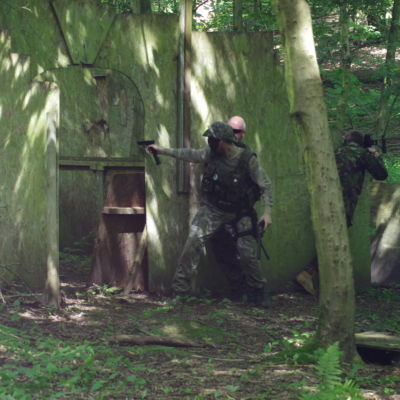 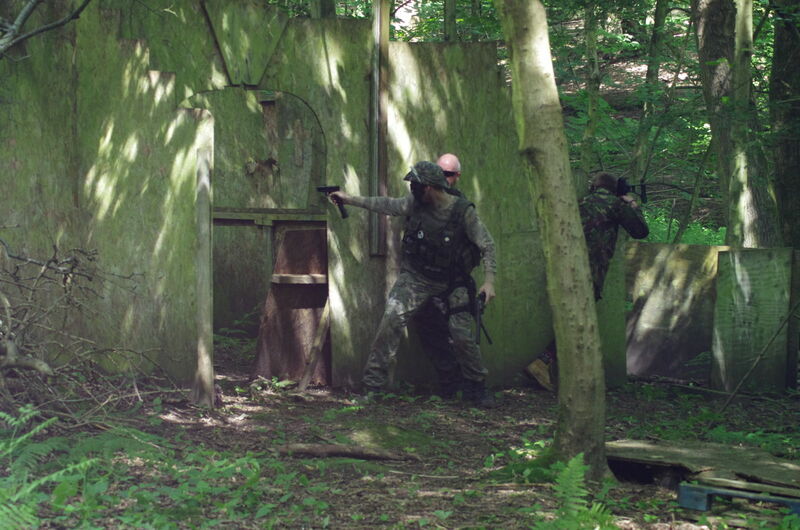 Small machine gun nest West of the Church. 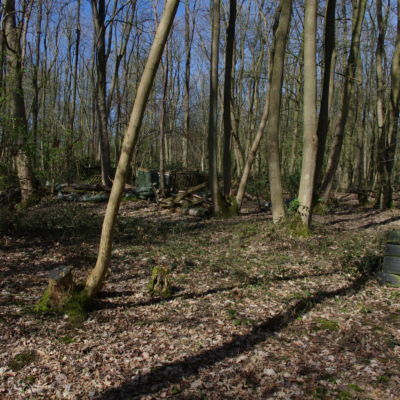 The Church from the West by the Fire Base. 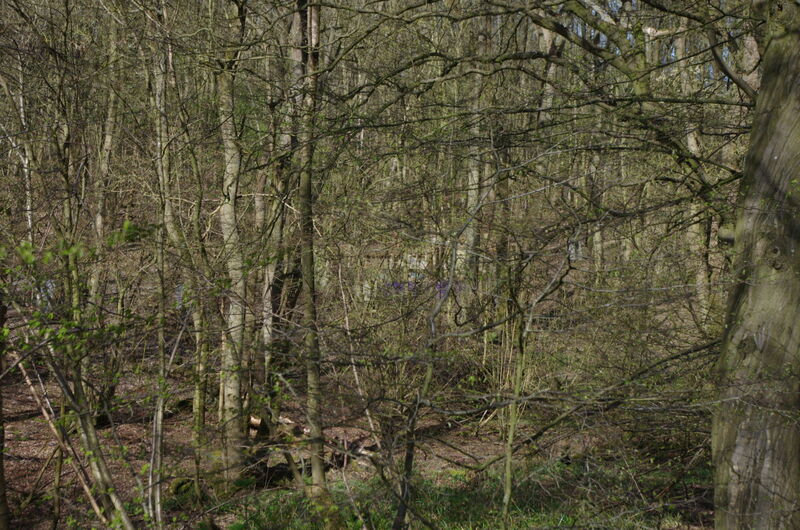 The Church, just visible in the centre, from top of the valley ridge to the South East. 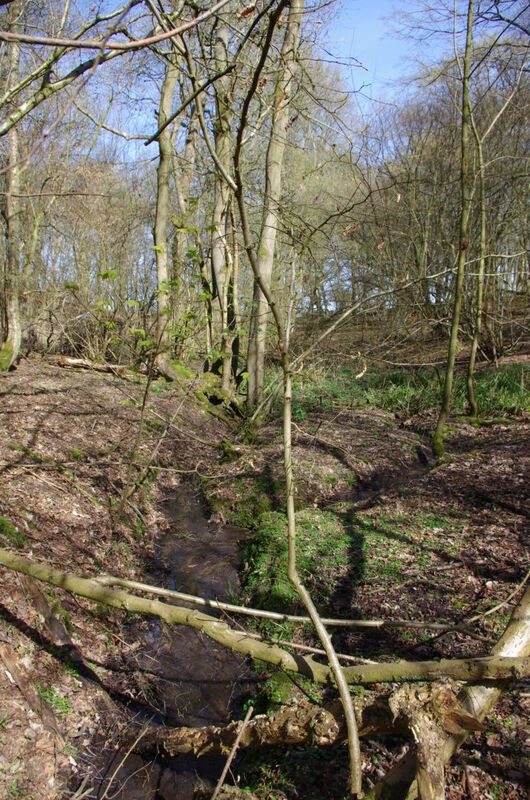 The Church on the left. 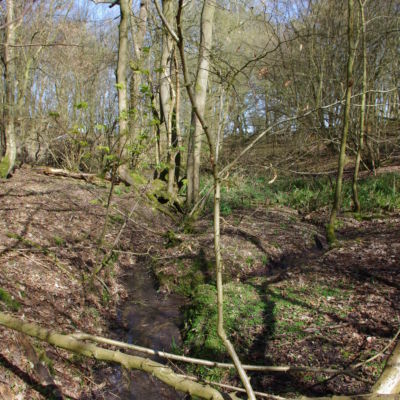 On the right of the stream with the valley sloping up to the field boundary at the top of the slope. 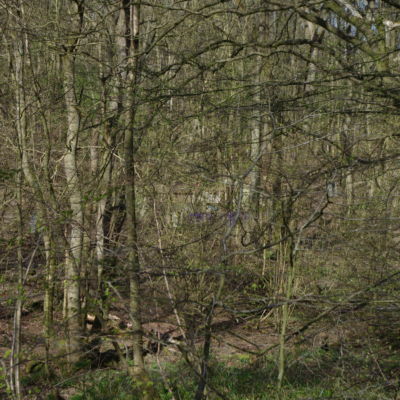 The Church from the South West. 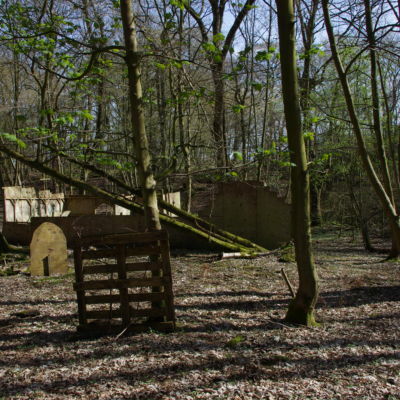 The Church from the East. 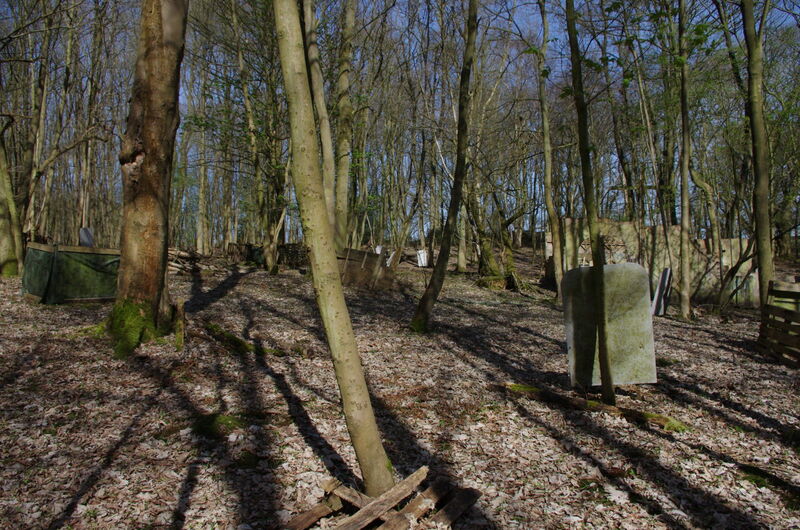 The Church from the West. 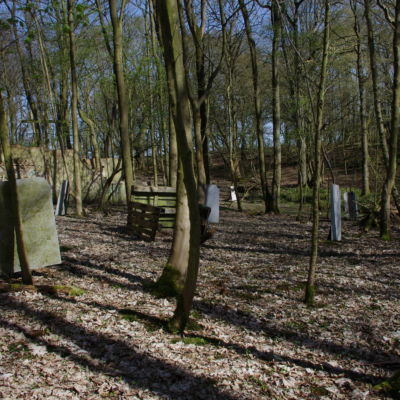 Looking South from the West of the Church. 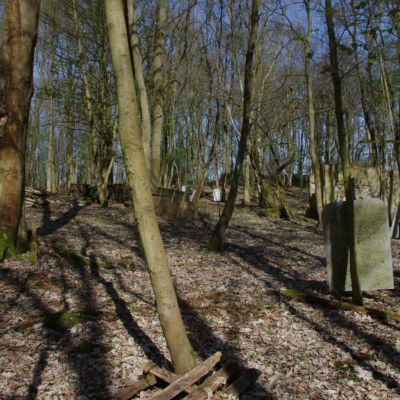 Looking South from the Back of the Church. 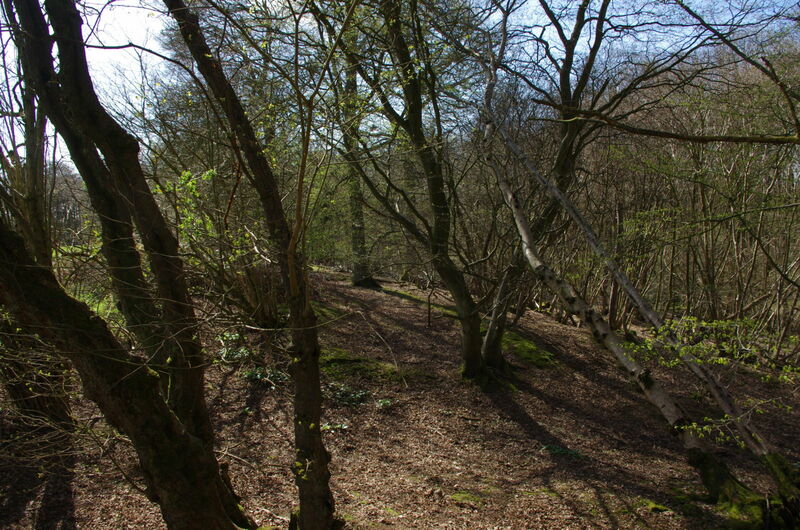 The Church Field - The Field Boundary highlighted at the top of the valley ridge looking North.